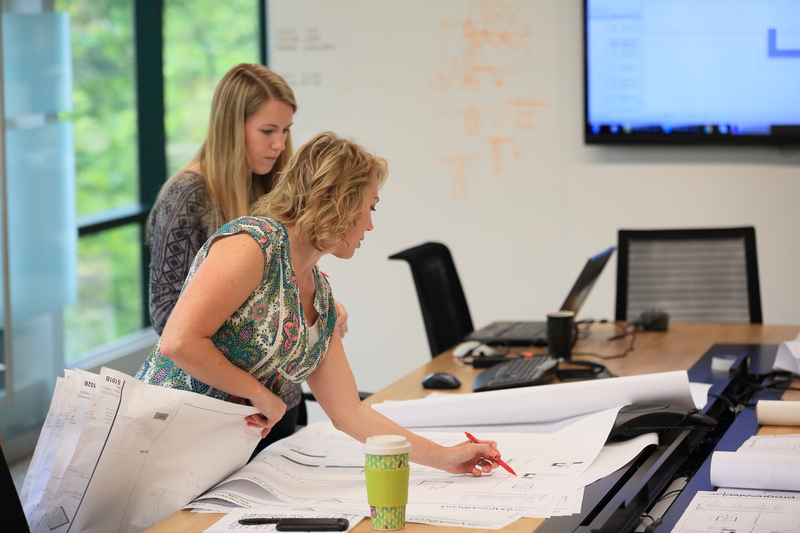 That’s why we’re drawing top-notch architects, interior designers, engineers, landscape architects, water resource experts, management experts, and more to our firm. Perhaps it’s because we value collaboration and creativity. Perhaps it’s our strong entrepreneurial culture that lets people shape their future, not just take what’s handed to them. Perhaps it’s that our team members believe they can make an impact here and see their good ideas come to fruition, or know their coworkers have their back or know their hard work is valued. And that life outside of work is equally valued. Whatever the reason, it’s why we’ve consistently been named one of the 101 Best & Brightest Companies to Work For! It’s the people who make Progressive AE what it is— a group of smart, innovative, collaborative people who understand and care deeply about good design. We share a belief that design can and should make people’s lives better, help organizations perform better, and make the earth a better place. We foster openness. We encourage an entrepreneurial spirit where people can make an impact and can see their good ideas come to fruition. And we don’t relegate creativity just to “creatives”—we encourage original thinking in every part of the organization–from human resources to finance to design and engineering. We take our work seriously. We take our clients seriously. But we try not to take ourselves too seriously. We believe a bit of fun, laughter, and some self-deprecation go a long way in fueling the creative spirit and keeping work and life in balance. There’s always room to grow. As an employee-owned firm, we’re committed to putting people at the center of everything we do—ensuring they have rich opportunities to learn, grow, advance, and apply their learning across the many disciplines we practice. It’s good for our people and it’s good for our firm. At Progressive AE you’ll find clear, structured paths for promotion, onsite learning to satisfy CEUs, company-sponsored membership in professional associations, tuition reimbursement, cross-training, LEAN training, and more. You’ll be mentored by some of the most talented professionals in the region—people who are deeply committed to growing your experience. And, you’ll find support for your personal development as well, with onsite seminars in finance, stress management, parenting, fitness, wellness, and more. At Progressive AE, we foster an entrepreneurial spirit that gives people the power to shape their career paths and we stand alongside them with support, learning, and opportunity as they pursue that path. We reward hard work with more than a paycheck. At Progressive AE, we provide a culture of care through a robust compensation and benefits package that enriches the lives, well-being, and day-to-day experiences of our team members. Health benefits include comprehensive medical, prescription and chiropractic coverage; healthcare reimbursement accounts and an award-winning health and wellness program, with health coaching; an onsite fitness center; a wellness library; confidential counseling; and you can even get your flu shots onsite. Our financial benefits include long-term disability protection, life insurance, 401(k), profit sharing, employee stock options, and limited partnership opportunities.